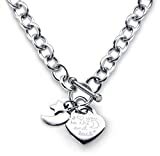 Heart Toggle Necklace I Love You to the Moon and Back Charm Stainless Steel 18"
Heart Toggle Necklace I Love You to the Moon and Back Charm Stainless Steel 18″ makes a perfect gift. couldn’t be happier! 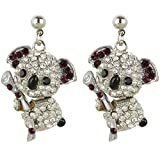 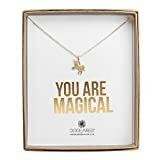 Won’t even compare Heart Toggle Necklace I Love You to the Moon and Back Charm Stainless Steel 18″ with what is sold in other stores. This one is the best!